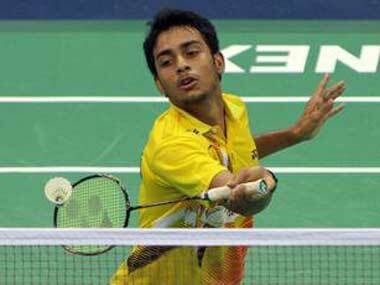 Chinese Taipei: Sourabh Varma notched up successive wins on the second day of the Chinese Taipei Masters to enter the pre-quarterfinals of the Grand Prix badminton tournament on Wednesday. 2011 National champion Sourabh disposed off local shuttler Yi-Hsiang Yang 12-10 11-3 11-5 in the first match and then edged out Japan's Hashiru Shimono, seeded seventh, 11-6 8-11 12-10 11-3 in 41 minutes. Sourabh, who had reached two finals at Belgium and Poland this year, will next take on Japan's Ryotaro Maruo. National Champion Sameer Varma, who is the younger brother of Sourabh, had got a bye in the opening round. But Sameer's campaign ended in the next round after losing 10-12 11-6 3-11 4-11 to Chia Hung LU of Chinese Taipei. 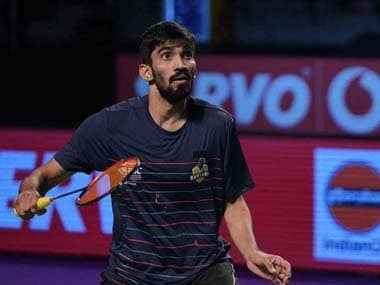 Among other Indians, Shreyansh Jaisal and Rahul Yadav Chittaboina bowed out of the tournament, which is one of the events where the BWF is testing its experimental scoring system. 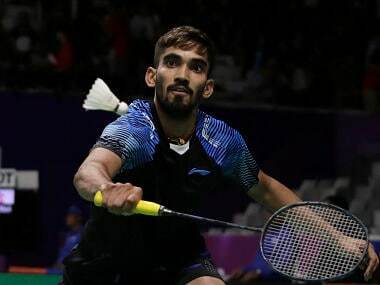 While Shreyansh suffered a 7-11 14-15 11-4 2-11 loss to Shih Kuei Chun of Chinese Taipei in the opening round, Rahul retired just after six minutes in the match against his Chinese Taipei rival Yang Chih Chieh with the scoreboard reading 2-6 in the first round.